Course Website: Official Website - Visit Cascata Golf Course's official website by clicking on the link provided. 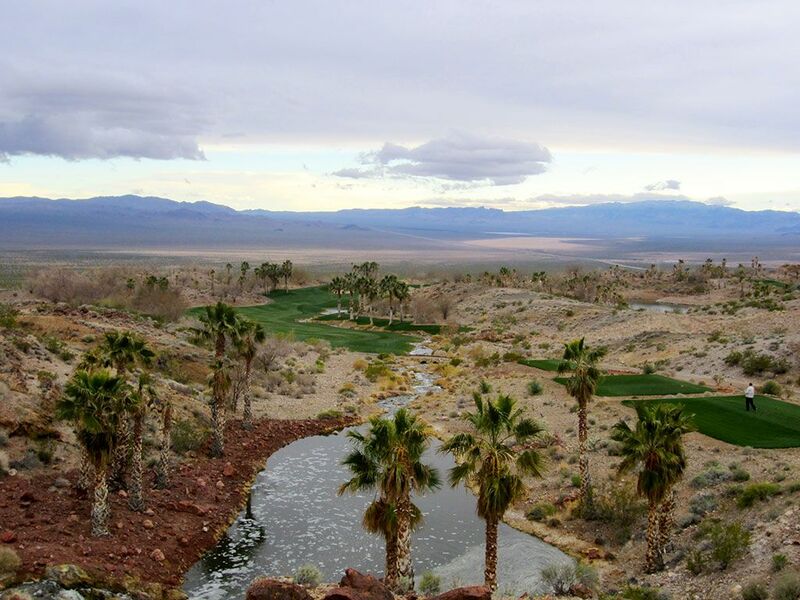 Accolades: Ranked 8th in Nevada on Golf Course Gurus' Best in State list. What to Expect: Described by course architect Rees Jones as "The Eighth Wonder of the golf world", Cascata has to be experienced to believe and appreciate. After getting through the gates protecting the entrance to the property, you are greeted by staff members at the front door to the 37,000 square foot Tuscan-style clubhouse. On your walk back towards the locker room you actually walk on a bridge that goes over a river that begins 418 feet up the mountainside as a waterfall and cascades down through the clubhouse, an experience you certainly won't find many places. Your golf cart awaits for you in the lower level of the clubhouse where you drive it out through large wooden double doors to the course. Conditioning is always perfect and the greens run fast. 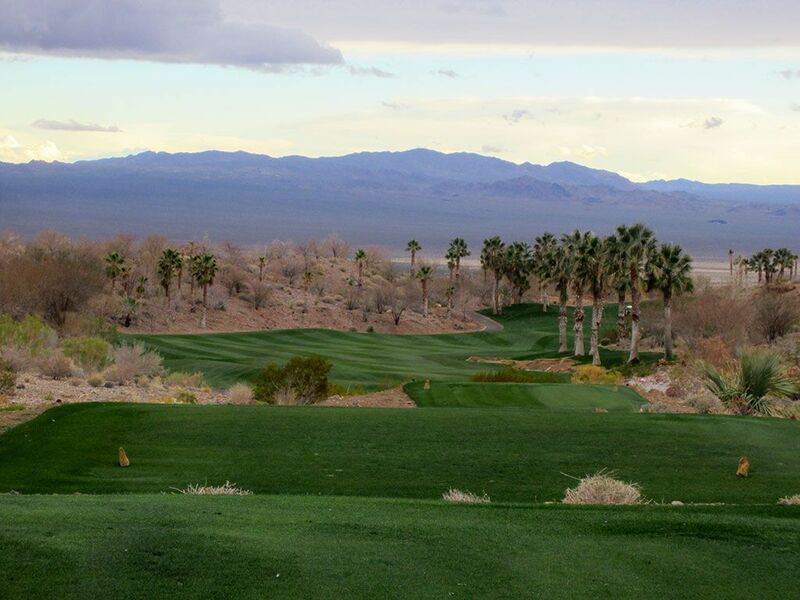 The holes are laid out up and down the canyons east of Boulder City and a golf cart is a must, especially considering the nearly two minute ride from the 7th to the 8th hole. There is generally more staff than golfers at the club at any given time and everything about the course and facilities is posh. Cascata is a Vegas gem! Signature Hole: 14th Hole – 434 Yard Par 4 – Tiger Woods was photographed standing on the water near the 14th green and was featured on the cover of Golf Digest; how appropriate for a guy that seems to be able to do anything. The 14th hole is a stunning downhill par four that features a creek cutting in front of the tee boxes and down the right side of the hole before pooling up in a pond 100 yards from the green and protecting the entire right side of the putting surface. Two bunkers protect the opposite side of the green which allows little room for error when making your approach shot at this beautiful signature hole. Best Par 3: Not only did Rees Jones design an excellent par three as the 4th hole at Cascata, but this 216 yarder is a brute. A pond fronts the left half of the green while a very large horseshoe shaped bunker guards the entire right side of the green. This hole plays due south down a canyon and thus will generally feature a tailwind which makes club selection and distance control all the more difficult. Best Par 4: While it is difficult to argue against the 14th hole as the best on the course, I'm going to feature the previous hole since the 14th has already been featured as the signature hole; in fact this was our caddy's favorite hole. The 469 yard par four 13th is a big dogleg left where players could potentially be faced with a blind approach shot over a mountain if their tee shot is not long enough. Three bunkers flank the outside of the dogleg while a single bunker protects the left side of the green. In the distance beyond the 13th green, skydivers are often seen across the sky as they drop down at nearby Boulder City Airport. Best Par 5: The finishing hole at Cascata is flat out stunning! The double dogleg 18th offers two options off the tee; either a conservative tee shot to the right side of the hole or a heroic tee shot over the rock hill on the left that can carry the water and leave an mid-iron approach shot to reach the green in two. Water runs down the left side for the first half of the hole, crosses the fairway, and runs down the right side before cascading into a pond that fronts the green. This is a great hole that gives players a chance to press their bets down the stretch! Birdie Time: It is very rare that I feature a par three as your best chance at carding a birdie, but when a course is over 7100 yards and you are able to tee up a 157 yard approach shot to a fairly roomy green then I like your chances of going under par there as much as anywhere. The hole plays west to east and is located at the base of a couple of hills which protects it from the majority of wind that would affect the shot. A waterfall cascades down the hill behind the green and runs through a creek that protects the left and front sides of the green; avoid the water hazard and you'll be in good shape to score a birdie. Bogey Beware: A long forced carry is required off the tee of the 489 yard par four 17th hole that doglegs to the left. Your tee shot must avoid the bunker placed on the outside of the dogleg to be in good position to attack the green that is protected by three bunkers, two in front and one in the rear right, with your long approach shot.